Posted July 4, 2018 by Chadwick & filed under Casino, Gaming, Tech, Technology. 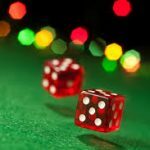 Competition in the gambling industry is quite stiff, making the efforts of snatching a larger market share by casino software providers a daunting task. However, some companies have managed to remain at the top providers lists for the past few decades. Their road to success, (just like any other journey), has been filled with milestone achievements and setbacks. Below we will discuss the top software providers in the gaming industry and their ups and downs while conquering the digital gambling world. For the past two decades, Microgaming has been at the top of pokie software developers. From a humble beginning in 1994, the company is currently valued at millions of pounds. It is one of the oldest companies in the industry boasting the largest number of games which amount to around 1200. They have managed to achieve a bunch of milestones and have experienced several drawbacks over the past two decades. The very first milestone they reached was in 1995 when they had released the first ever online game. At this point in time, the Internet was not common, and the reception of the games was quite low. 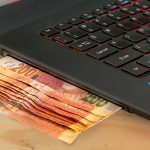 No one had been familiar with the concept of spending money online since platforms like eBay and Amazon were not in existence. In the year 1998, they pioneered yet another invention – the first real cash slot with a progressive jackpot. In 2008, the company released a new feature called ‘My Slot’ where gamers could custom design their own games. The year 2014 was another great year for the company, with the release of the first slot that used wearable devices. They release the Virtual Reality Roulette and the Oculus Rift DK2 that gave gamers a whole new 3D experience. In the year 2016, they offered the largest jackpot cashout in history where the winner walked away with 18 million EUR from Mega Moolah. It started out rough for Microgaming when they were labelled crooks in the late 1900s, due to the poor handling of client databases. Being a Microgaming licensee meant that the operator had to accept the terms of being hosted onto the Microgaming servers. This eventually gave the company all the databases of their clients. 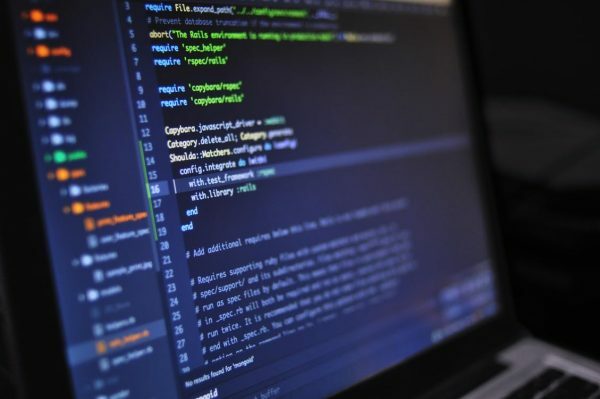 After several lawsuits, the company had to change its policies, and today no licensee is forced to be hosted on their servers. In 2006, after the signing of the Unlawful Internet Gambling Enforcement Act (UIGEA), Microgaming had to exit the US market which was a major setback, as they had established many partnerships in the region. They shifted their focus on the non-US regions and but still perform well. The Swedish company is part of the classic developers who started out in the late 1900s. They followed in the footsteps of Microgaming and established their own software providing company in 1996. The company currently has over 1000 employees and 200 slots. Despite being Scandinavian in nature, NetEnt’s gaming solutions appealed to gamers globally. 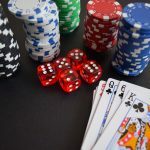 To facilitate the international popularity, the games have 15 different currencies to choose from, and they have partnered with multiple online casinos. In 1996, the company released its first online gaming option. 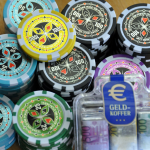 At this time they were being licensed by Malta Gaming Authority. In 2011 they were the forefront of a great establishment in the gaming industry, a mobile supported gambling game. Soon after this major release, they invented their very first live dealer studio in the year 2013. The company currently has major licences across the world; the UK, Malta, Italy Spain, Denmark, and Gibraltar. Today they boast having more than 170 operators who use their games. In 2015, after a great exit, they re-entered the US market after signing agreements with the Borgata and Bwin.Party to offer the gaming solutions to residents of New Jersey. 2016 was not a good year for NetEnt as there were many counterfeit games that replicated their original pokies. This almost destroyed their reputation and hard-earned image. Some of the brands that NetEnt was associated with were suspected of using hackers to replicate knockoff games that were a full replication of the company’s options. In order to avoid being a victim of pirated games only use trusted websites such as ours. Playtech was started by Teddy Sagi in the year 1999 in Israel. At this time online gaming had just been becoming very popular. In 2001 they released their first online casino platform that notified all other developers that there was a new kid in the block. In the year 2002, they landed a deal to establish the very first land-based casino in Europe online. In the year 2004, Playtech released iPoker which linked several casino operators as well as some poker-only sites that drew pools of players. At this time poker was quite popular, especially after several huge winnings were spotted. However, in order to successfully play the game a set of players are required, hence the necessity of building a network. This network snowballed rapidly with the growth of the poker industry. By 2005, the network was among the top 5 globally. By 2012, the valuation of the company was skyrocketing, especially with the acquisitions and the partnering with high-profile organisations. Playtech moved from AIM to LSE 250. In 2017, the company recorded the highest revenue of 800 million EUR. The Unlawful Internet Gambling Enforcement Act in 2006, affected all software providers in the USA severely and hit Playtech really hard. The law rendered their banking processes on operators illegal. They had to exit from the list of publicly-traded companies in the USA as their responsibility to the shareholders. Their stock value was hit the hardest when it came down by 40% within 24 hours. The other downfall was in 2015 when their plans for acquiring Plus 500, a forex trading company went sour and got cancelled. However, despite all the downs faced, the company managed to survive the scourge in 2006 against all the odds and has managed to be at the top software providers for casinos.